• Sturdy and Easy-to-use Clip for Books. Clamp opens up to 1 inch. • 6 Bright LEDs and Three Brightness Settings allows you to set the desired light level. • Gives Steady and Evenly Distributed Light, without hotspots or flickering. • Lightweight, Compact and Ideal For Travel. Take it on holidays, Camping and more. Comes Backed With Our 3 Year Warranty. Click Buy Now and enhance your reading experience! 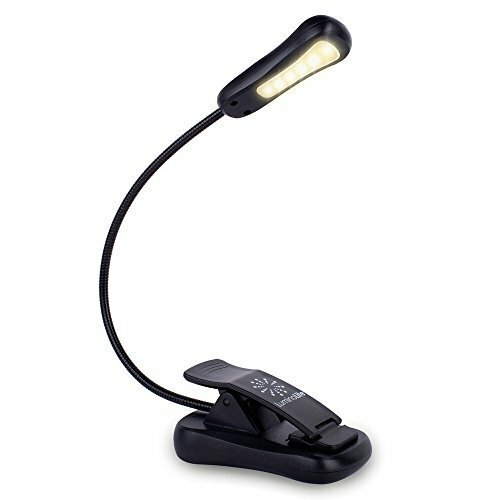 YOU WILL LOVE OUR BESTSELLING CLIP LIGHT AND OUTSTANDING CUSTOMER SERVICE - Give it a try with our NO-FUSS 30 DAY MONEY BACK GUARANTEE & 3 YEAR WARRANTY - CLICK THE 'ADD TO CART' BUTTON NOW AND GRAB IT AT THIS SALE PRICE. SHIPS FROM THE USA. If you have any questions about this product by LuminoLite, contact us by completing and submitting the form below. If you are looking for a specif part number, please include it with your message.